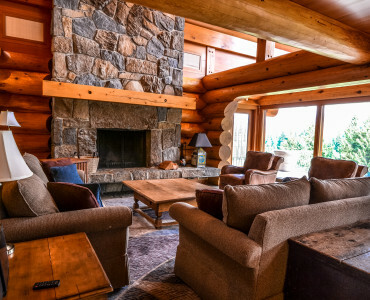 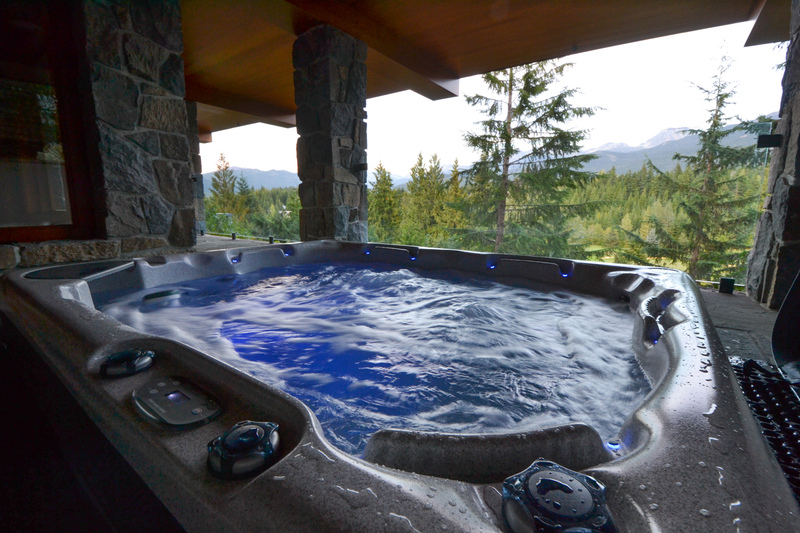 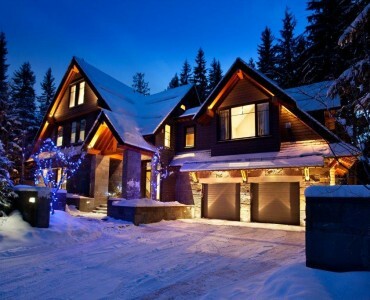 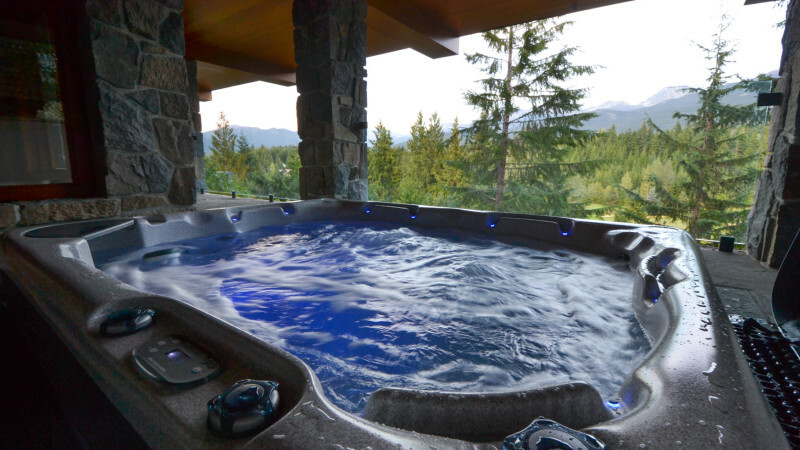 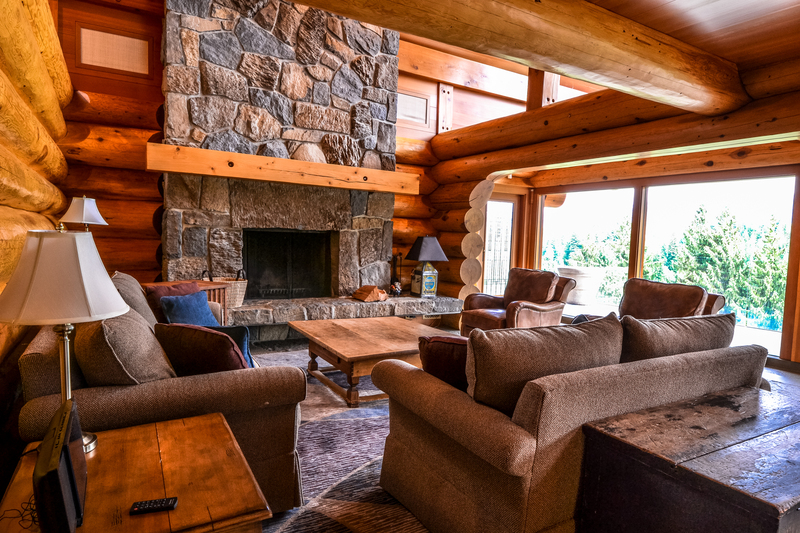 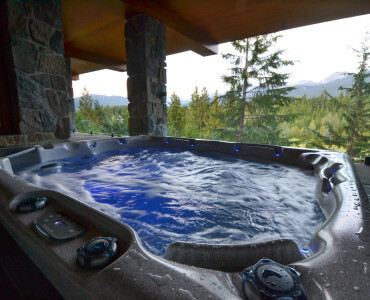 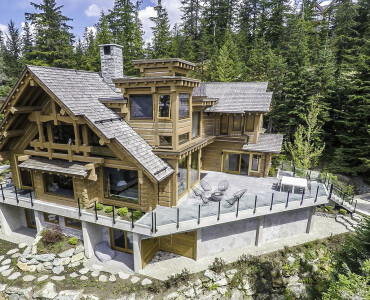 Simply put: the best 3 bedroom house in Whistler. 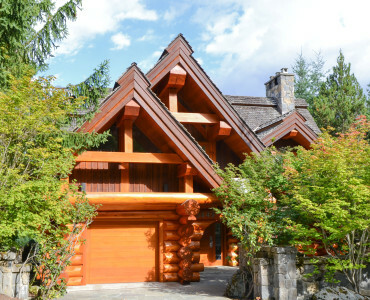 This three bedroom log home is located on Blueberry hill, one of the closest residential neighborhoods to Whistler Village (5 minute drive). 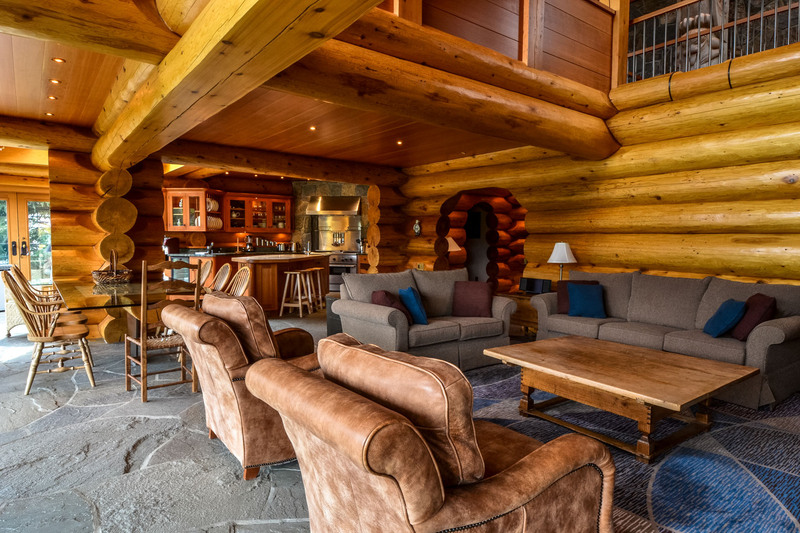 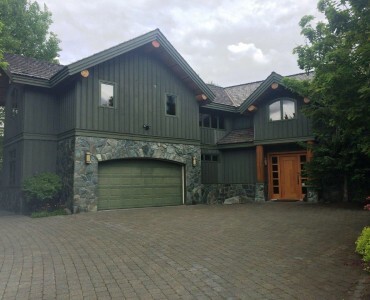 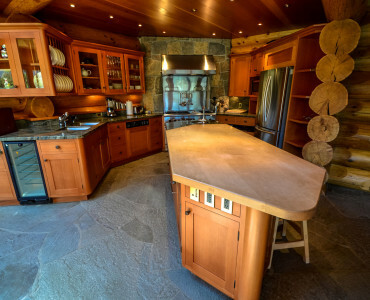 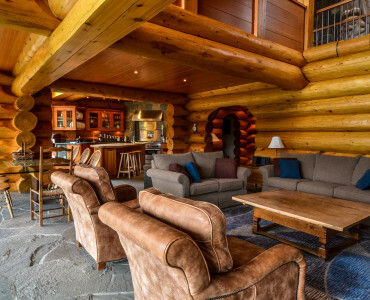 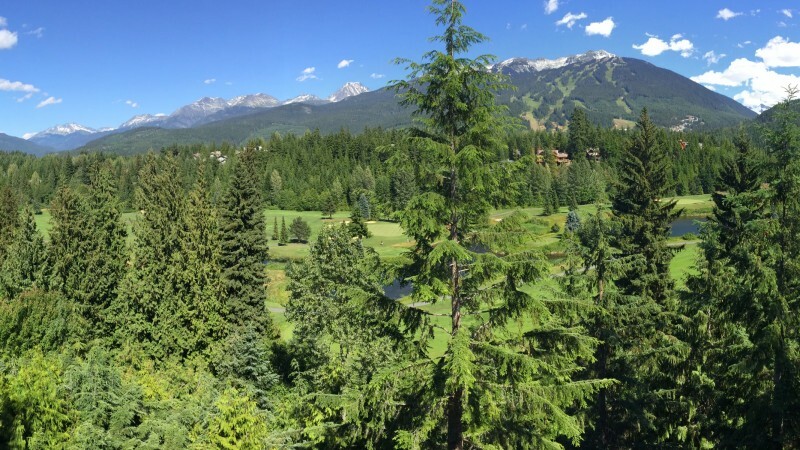 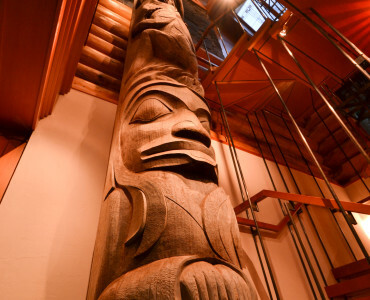 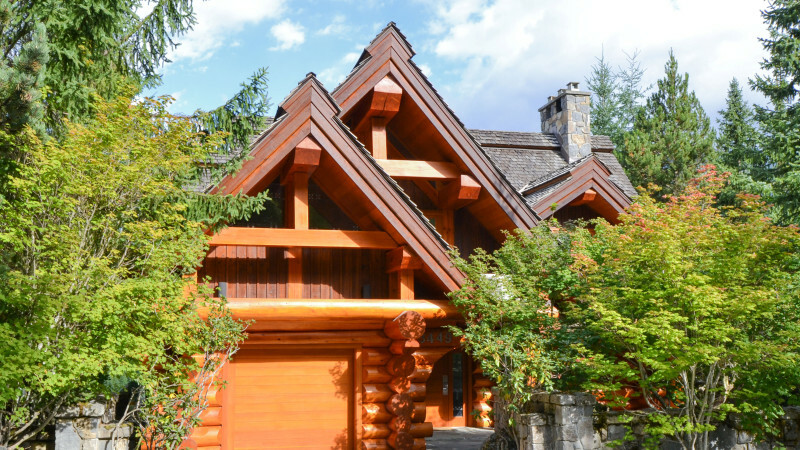 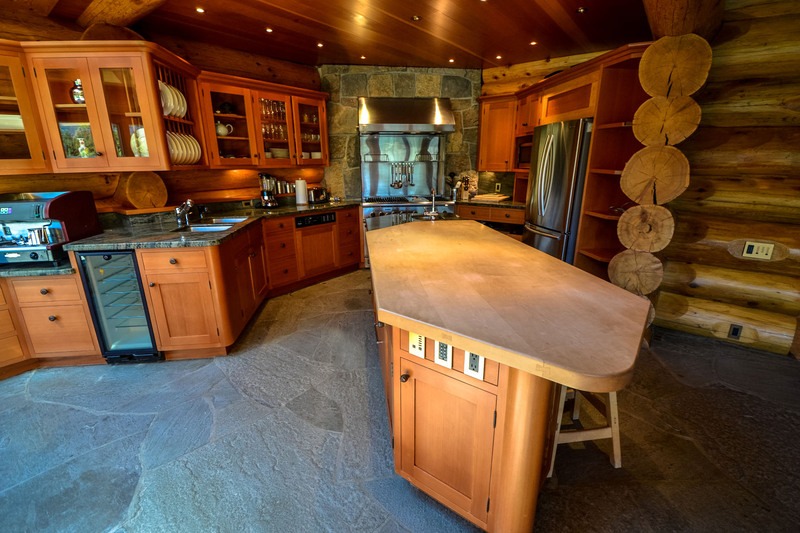 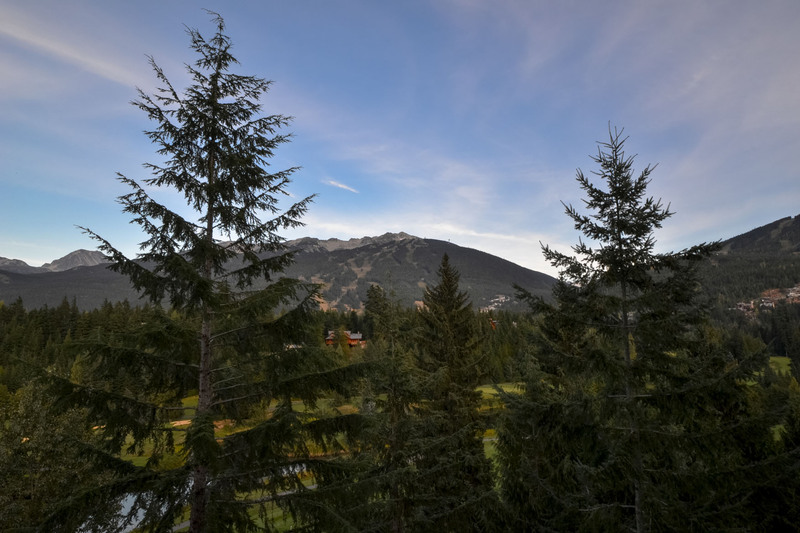 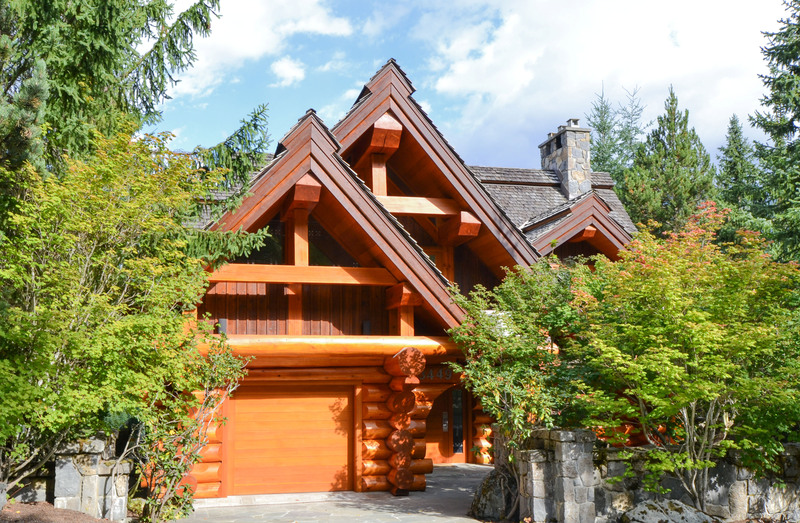 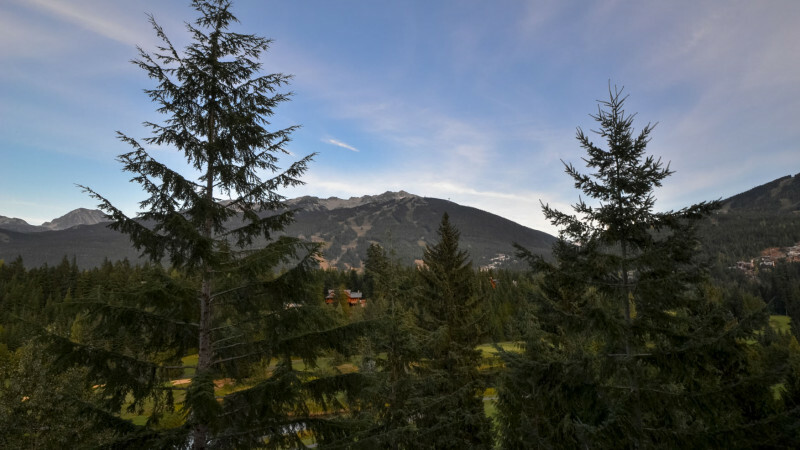 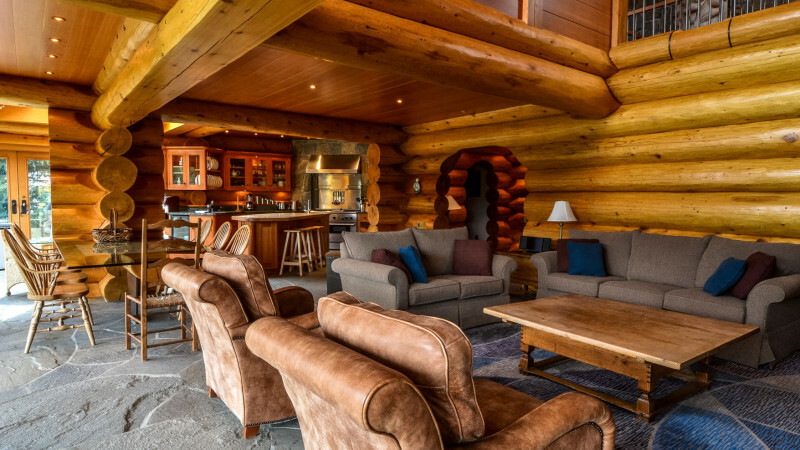 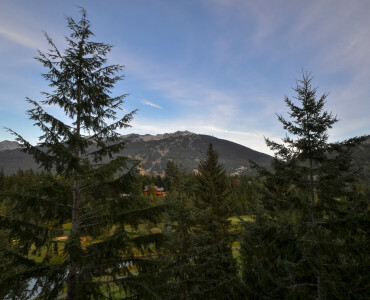 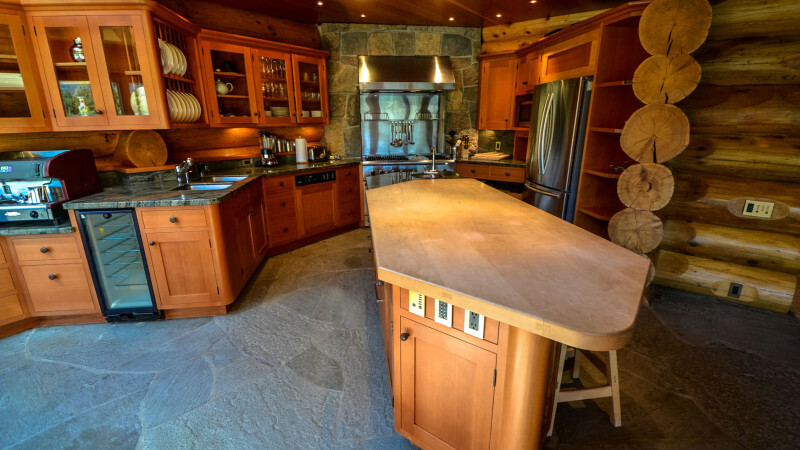 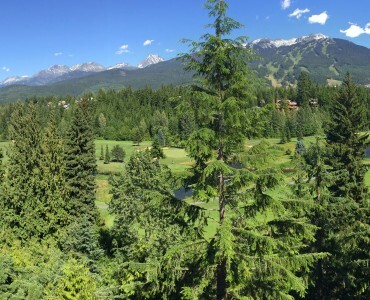 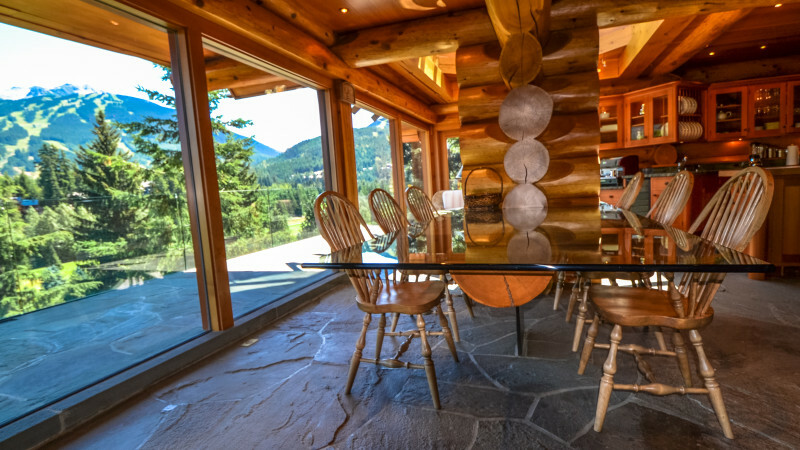 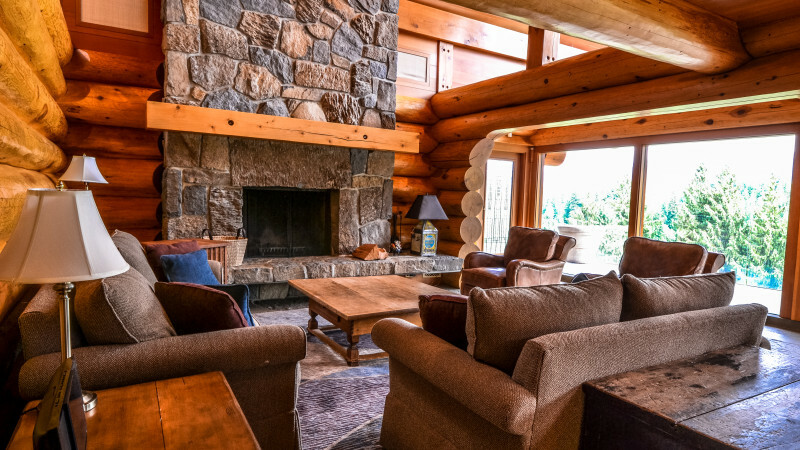 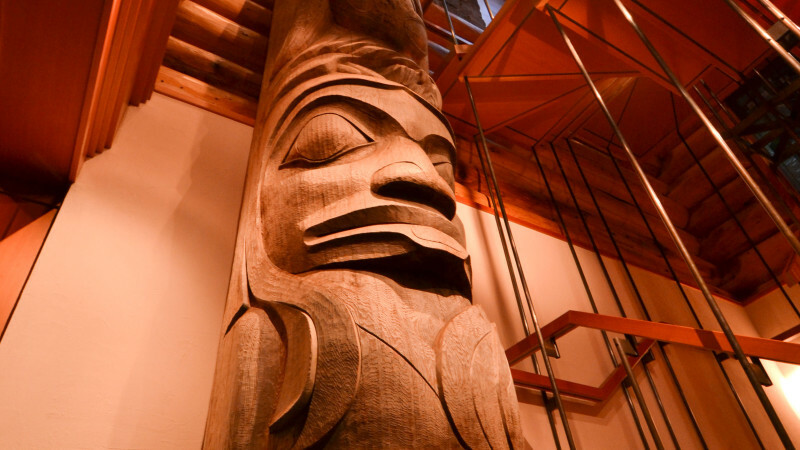 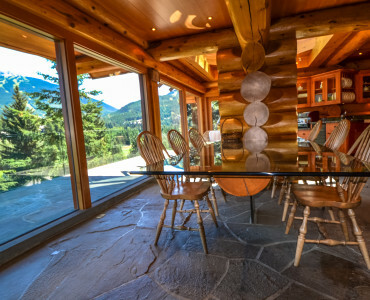 It offers incredible views of Whistler/Blackcomb and the village and features a full sized carved totem pole which the home has been built around – truly one of a kind. 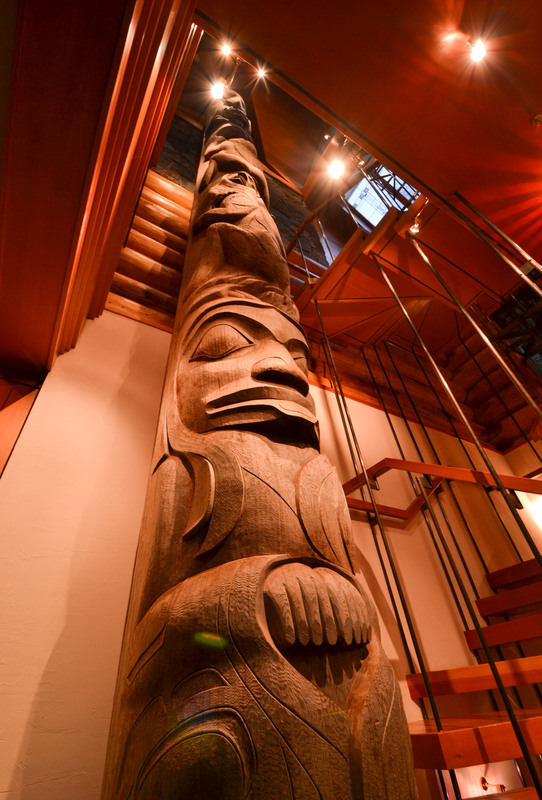 Totem House is a four storey, standalone residence that features a gourmet kitchen, dining area with a custom built table complete with an inlaid First Nation carving, living area with a vaulted ceiling, massive wood burning fireplace and floor to ceiling windows providing spectacular views. 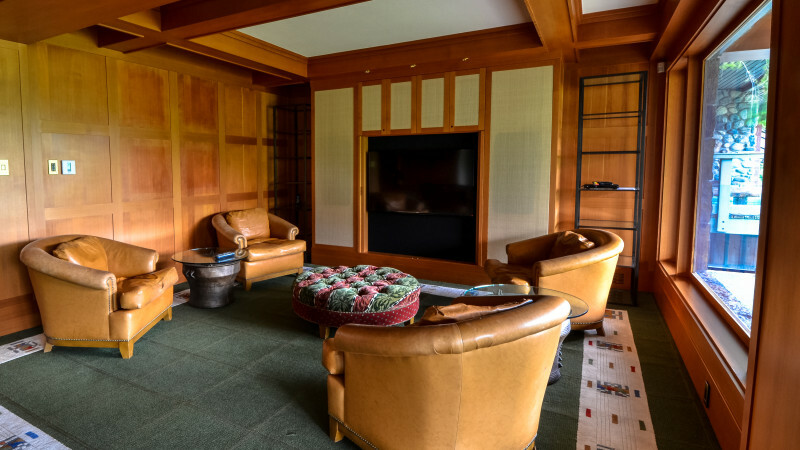 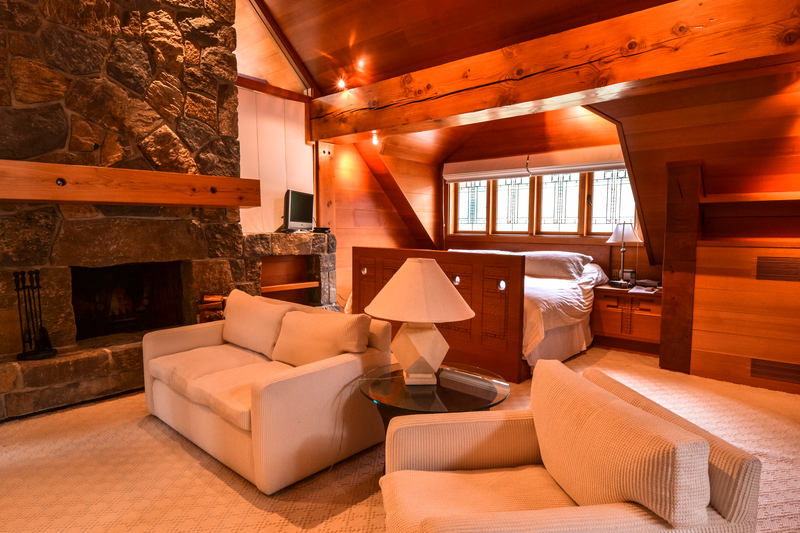 The top floor of the home is dedicated to the master bedroom complete with a wood burning fireplace and spacious ensuite bathroom. 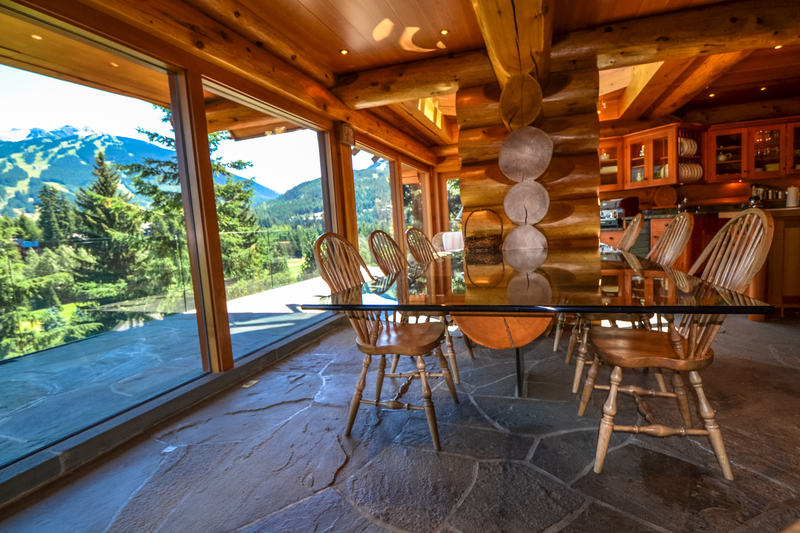 The main floor has the kitchen, living room and dining room with a half bathroom. 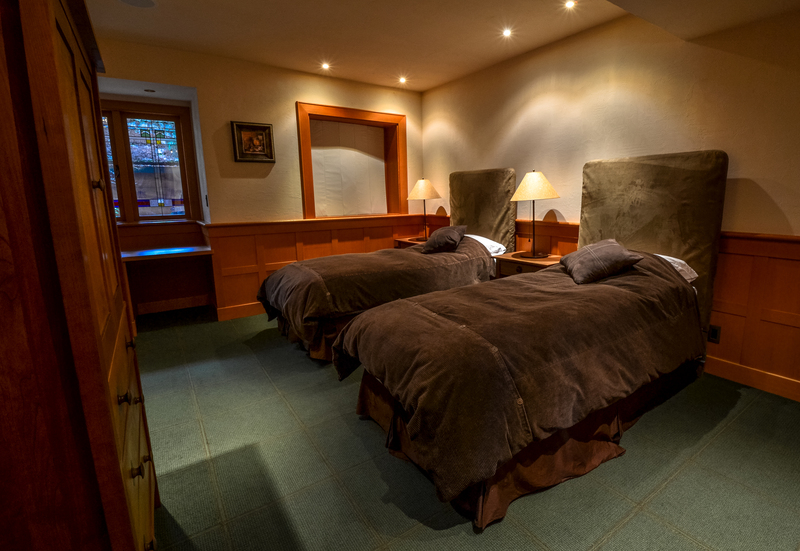 The lower floor has the 2nd room with ensuite bathroom, media room and games room and the ground floor has the 3rd bedroom with its ensuite bathroom. 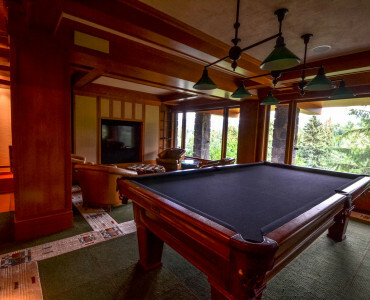 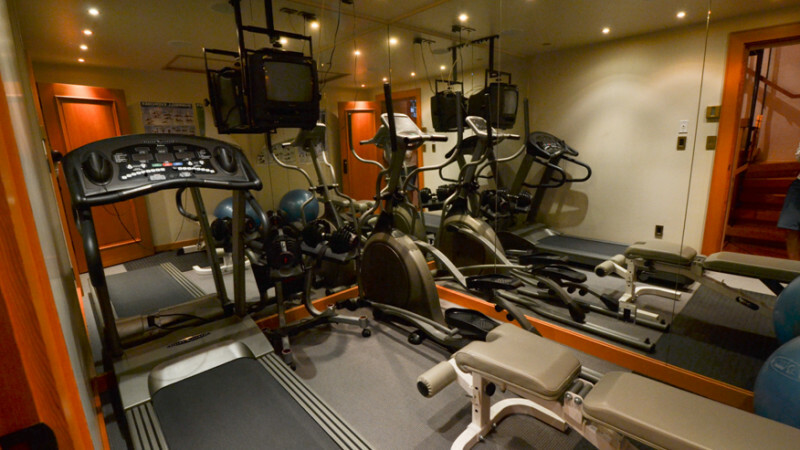 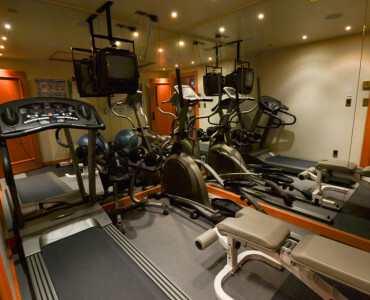 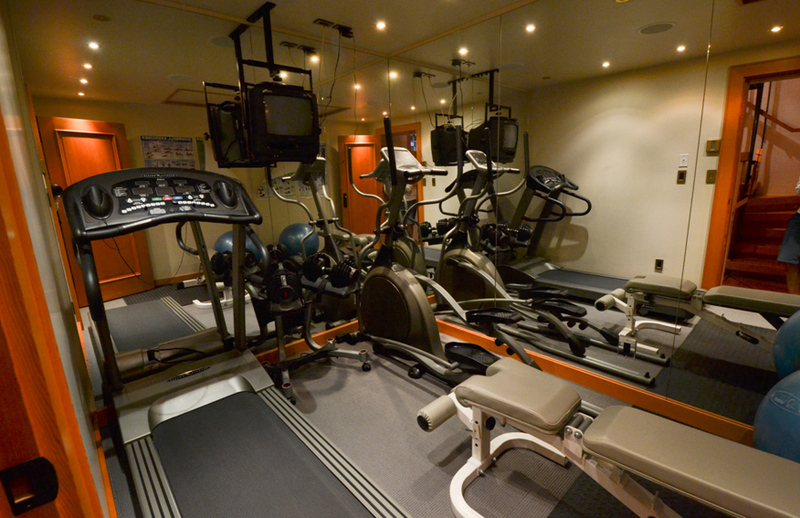 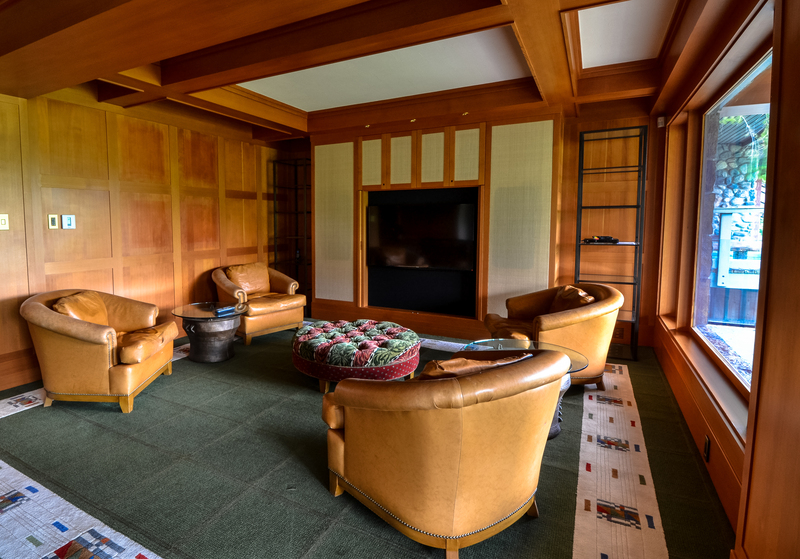 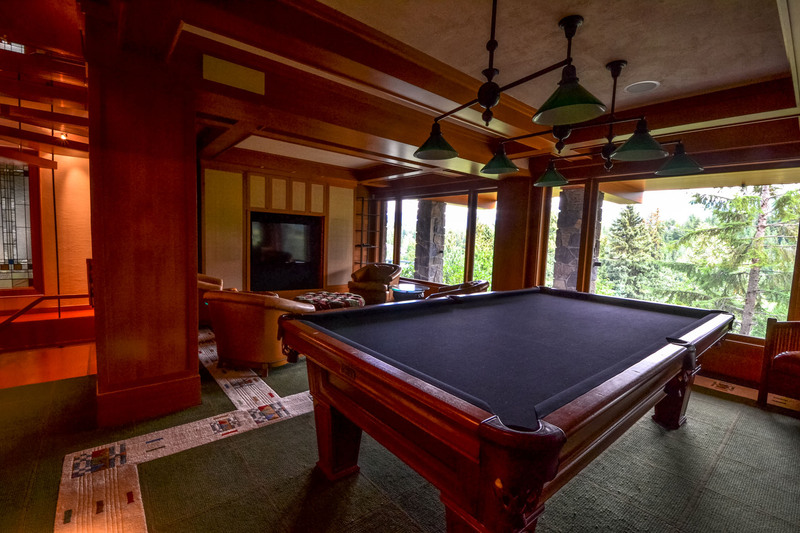 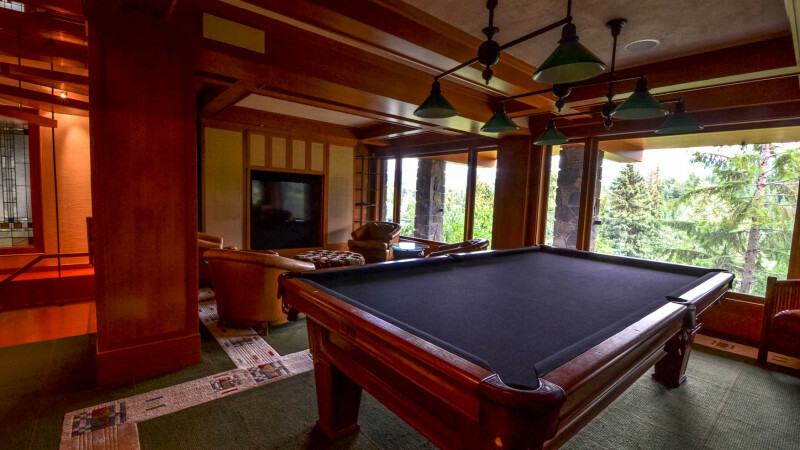 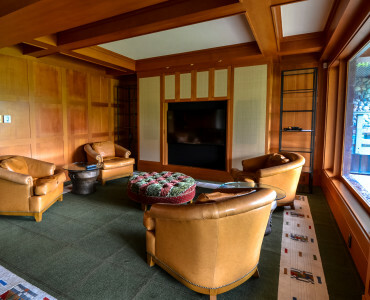 The house also has a billiard table, a gym and a private outdoor hot tub on the large balcony. 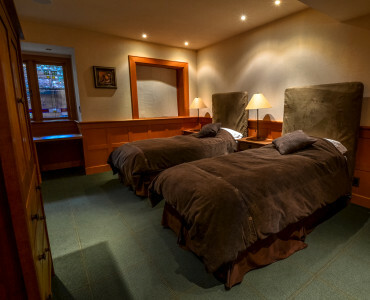 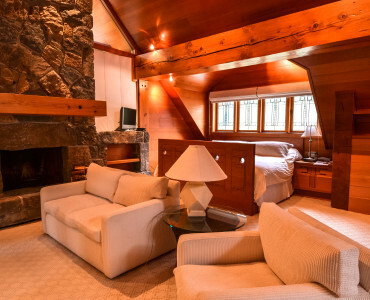 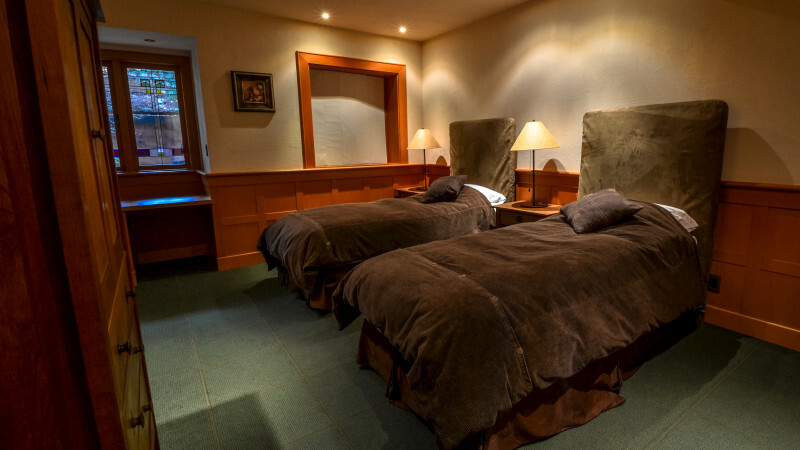 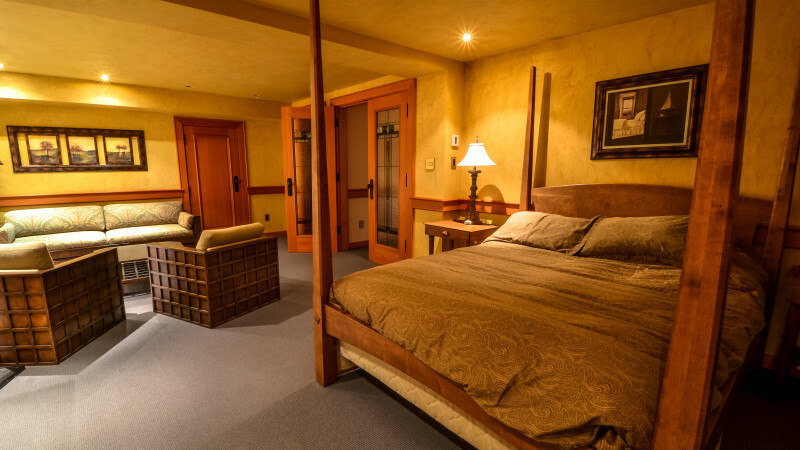 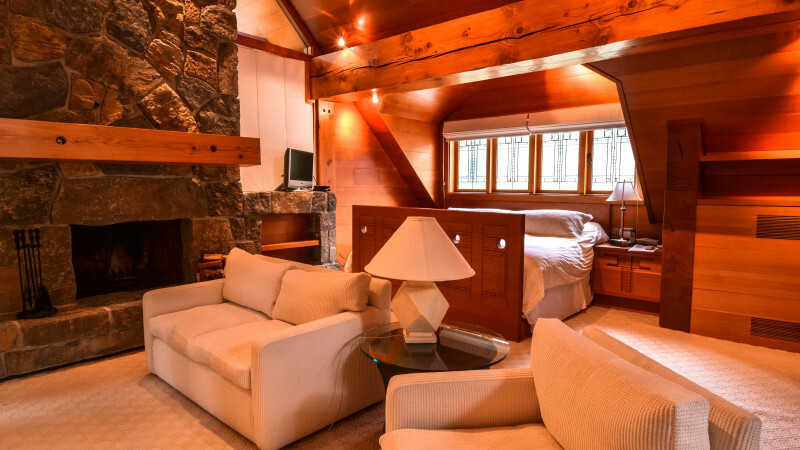 Master bedroom: King bed, sitting area, wood burning fireplace, private patio, dressing room, en suite bathroom with heated floors, two person bathtub and carved stone dual shower. 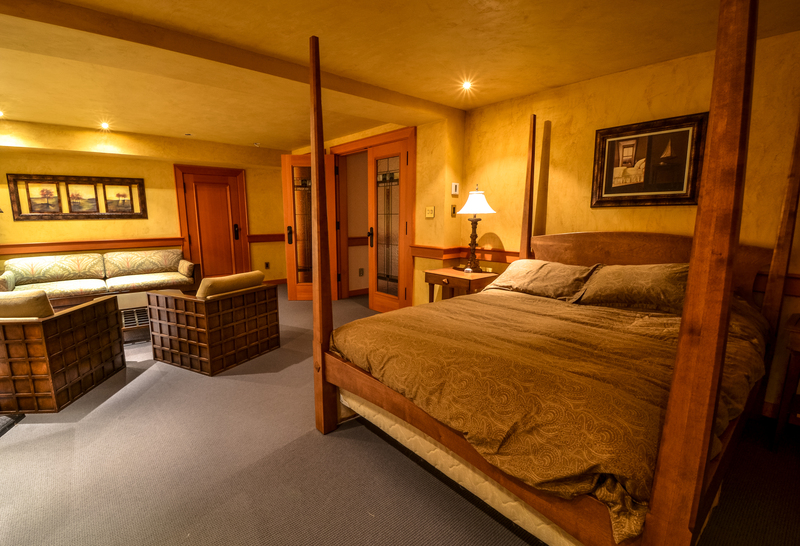 Guest master bedroom: Queen bed, sitting area, en suite bathroom with soaker tub. 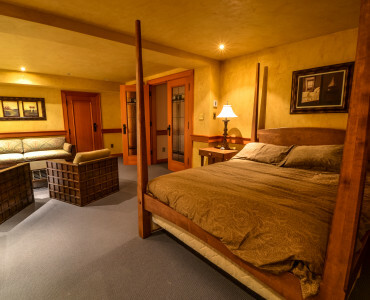 Guest bedroom: Twin beds, TV, en suite bathroom.